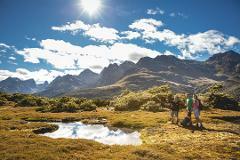 Experience a more remote guided day walk from Te Anau hiking to Lake Marian through forest and alpine scenery. 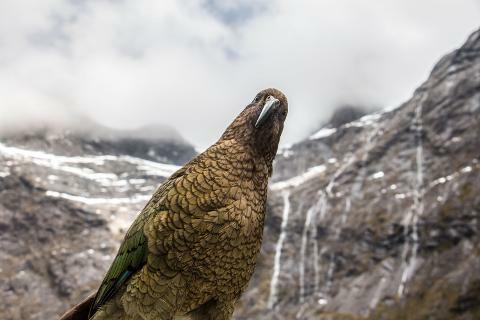 Begin with a spectacular scenic drive along the Milford Road to the Lower Hollyford valley, the starting point for the guided walk to Lake Marian. The hike starts with a gentle walk alongside a series of waterfalls, then steepens and becomes rocky underfoot as we ascend through a lush forest of fuchsia, ribbon wood and beech trees. 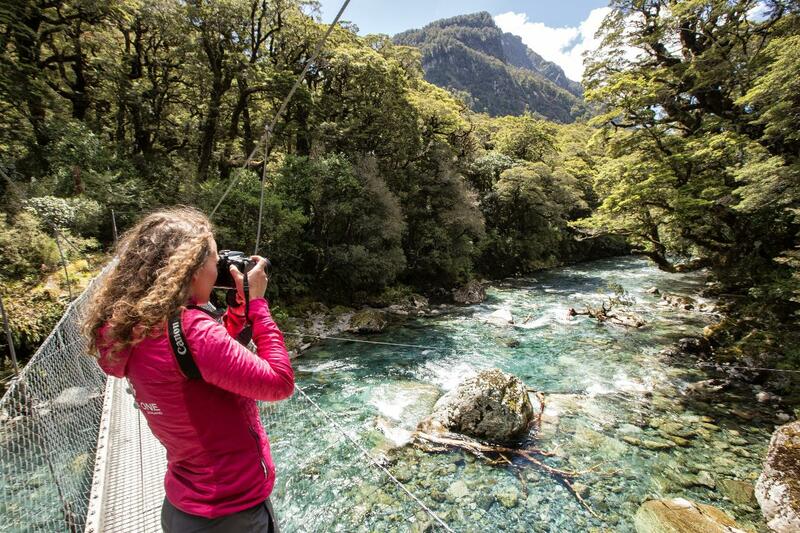 Your private Trips & Tramps guide will provide an opportunity for guests to learn about the natural and human heritage of Fiordland. 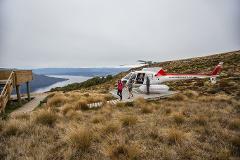 Regular stops for photographs, bird-watching and enjoying the scenery are made along the way. Hot drinks and energy snacks are carried by the guide, with a wilderness tea break available as required. After walking for 2-3 hours, we arrive at Lake Marian. 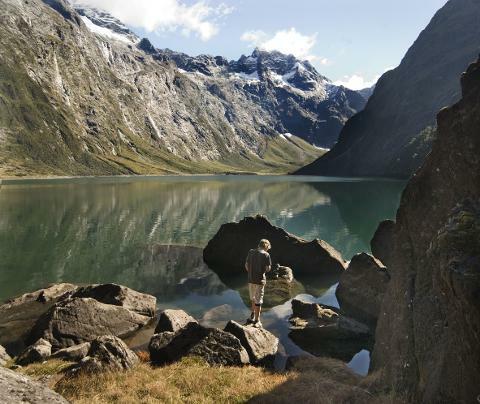 This stunning alpine lake is situated in a hanging valley surrounded by steep, snow clad mountains. As weather permits enjoy a picnic lunch at this inspirational location and relax in this magnificent alpine amphitheater. 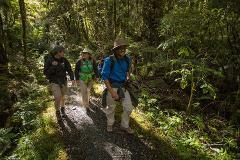 Descend back down the track to the Hollyford Road and then travel back to Te Anau by private vehicle.